Once you have a robot that behaves the way you would like in the simulator, it is time to build it. For this you will need some electronic components, a set of standard 3D printed parts, and a set of custom parametrized parts that you will need to 3D print. More details on how to get a hold of these parts are available below. After your evolution runs are complete, you can determine the components required to build your robot through the text file that describes the tree representation of robot body parts. Once you have all of your parts, it is time to assemble! We have prepared a series of video tutorials demonstrating how to assemble RoboGen robots. Pay close attention to the orientation of the parts relative to each other when building the robot. For the active hinge, there are two possible orientations of the part that will give the same degree of freedom but opposite behaviors! To be sure, check the my_robot text file: the orientation of the part is described as a number following the part name. The format of this file follows the rules set for describing a robot body mentioned on page Guidelines for writing a robot text file. The parts you will need to assemble your robot are listed in the table below, along with where to get them and how many to get. As mentioned above, you can order the parts from the RoboGen shapeways shop we have created for you. This website offers to print your models in a variety of materials and colors. The part quality is high, thanks to their laser sintering technology. Alternatively, if you have access to a desktop fused deposition modelling (FDM) technology printer, you can download the .stl robot part files here and print them for yourself. In this case, the geometries that can be printed without use of support material are different. For this reason, some of the .stl files are specific to FDM as indicated in the file name. For example, the core component as it appears in the simulator is not printable with FDM. In order to make it printable, it should fulfill the requirements of the 45 degree rule. That is why the Core_FDM part does not look exactly like the cores in the simulator. You can learn more about 3D printing technologies here, and if you have any questions, please don’t hesitate to ask them on our google group. The parametrized components your robot needs are a result of the evolution, and need to be generated specifically for your robot. For this, you need to adapt template CAD files for the two halves of the part according to the parameters given by the algorithm, then compile these to STL format for 3D printing. The parameters of the parametric parts can be found in the .txt file of the robot body, and should be entered into the code of the template files. 1. Install openscad (http://www.openscad.org/) and use the software to compile the parts. Once the file is loaded in the UI, click Preview (F5), Render (F6) then Export as STL. 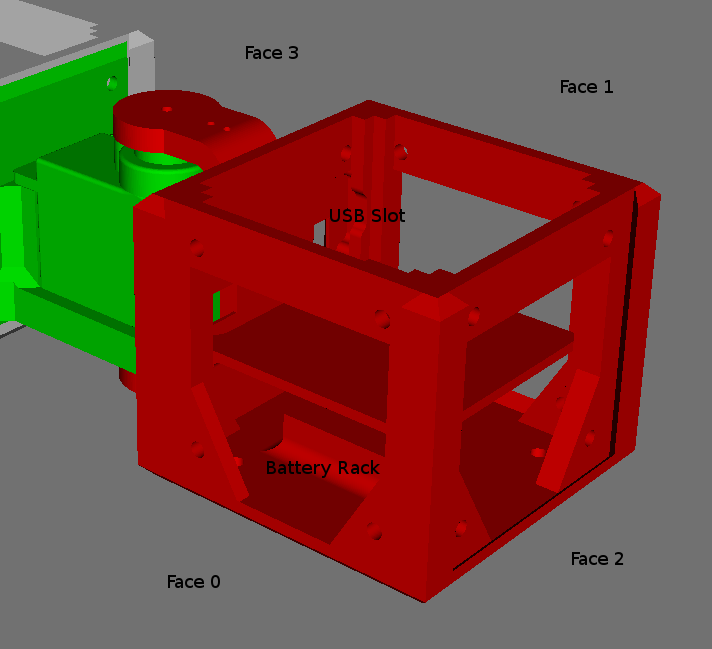 The 3D printing procedure is described here. If anything is unclear, please let us know here. The resulting file NeuralNetwork.h will be inside evolved_robot/. Enter the working directory to be the directory containing your evolution results. Download the Arduino IDE at http://arduino.cc/en/Main/Software and download and extract the Arduino package from the Robogen website. For the Arduino IDE, you will need a java installation. This should be taken care of on Windows and Mac, but on Ubuntu, you should sudo apt-get install default-jre. Make sure the Arduino IDE is closed. From the results folder, copy NeuralNetwork.h into arduino/RobogenArduino/. You can now open RobogenArduino.ino folder in the Arduino IDE. Select Tools > Board > Arduino Leonardo to specify the Robogen’ Compatible arduino board. Click to verify the Arduino program. To correctly connect our sensors and actuators, consult “NeuralNetwork.h”. Then, unplug the battery from the BEC and the actuators from the Arduino before connecting the Arduino to the PC. IMPORTANT: Make sure that the BEC is not connected to the battery when the robot is not used, as else the BEC will consume battery power. After connecting the Arduino to the PC, you should be able to use the upload button of the Arduino IDE to upload the compiled program to the robot. Once the program has been uploaded, you can disconnect the PC from the Arduino and reconnect actuators and battery. Your robot should now behave according to the neural network.